Griffin Cleveland wears black high top Converse “Chuck Taylor” All Stars in the film. Matt and his friends discover a metal case with toys from the future inside. Time Toys starts out as another variation on the typical family film about loser middle school kids who come across some sci-fi thing that ends up changing their lives and giving them the self confidence that they can succeed in life and survive middle school. The four main kids, Matt (Griffin Cleveland), Mel (Samuel Gilbert), Boomer (J. J. Totah), and Eddie (Jaden Betts) represent the typical stereotype kids in this film — an underachiever, a kid who isn’t too bright but a loyal friend, an uncoordinated genius nerd, and small-sized kid with a feisty attitude. We first meet them playing a basketball game against their main antagonist at school, Bryce (Evan Roe) and his friends, where they are unable to even score a single basket. Things change rapidly for the four when, on the way to their hideout (another requirement for this genre), Boomer slips while trying to leap across a small stream, and stumbles across a metal case marked as property of the US Military. When they open up the case at their hideout, it is filled with some amazing toys from the future. There is a mask that changes your face into that of the last person you looked while wearing it, a pair of high top sneakers that makes you run incredibly fast, a pair of gloves that give you unbelievable strength, a baseball cap that makes you understand completed math problems, and a power spray gun that somehow converts air into oil slicks, slime, or poop. Mel, Matt, Boomer, and Eddie on the way to their hideout. Immediately the four kids decide to get even with Bryce and his friends, challenging him to a rematch basketball game where they leap about and score a barrage of baskets at will. They don’t even need Matt to help, as he is off in the school locker room figuring out how to activate a mysterious ball, the one toy they haven’t yet been able to get to work. After Bryce and company run off, Matt brings the others into the locker room and shows them that his ball is the most amazing toy of all: a hologram encyclopedia that can show you the future. When they see the next day’s news, they are immediately alarmed. An article shows them that they have gone missing, and that a man named Weller (Greg Germann) is taking over their town with a huge development. After looking at more screens, it seems that Weller is out to take over the world using the advanced technologies of his company that the boys have discovered. Just like the kids, the adult characters fit more of the typical family film stereotypes, a madman out to take over the world, his somewhat bumbling goons (Parvesh Cheena, Rob Van Dam), and a washed up, alcoholic scientist name Wiz (Ed Begly, Jr.) who was actually responsible for the inventions and development of the company before it was hijacked by Weller. Matt works to figure out how to activate the mysterious ball. The four boys now realize that they are in danger, chased by Weller’s goons who will do anything to recover the case of futuristic toys. At the same time the boys realize that they are the only ones who can save their town, and the world. Luckily two more people step up to help them, Wiz, with his knowledge of the company, and Jenny (Mackenzie Aladjem), Weller’s step-daughter, one of Matt’s classmate’s who he has a secret crush on. After a number of chase scenes where the boys try to elude Weller’s goon, things move on to a dramatic climax. Matt and the others are confronted by Weller and his henchmen. We’ve have seen many films like Time Toys over recent years: Super 8, The Invisible Boy, Labyrinthus, Meatball Part 2, Project Almanac, Sky High, and Skyrunners come to mind. What makes this film interesting is the toys, which add a lot of fun to the predictable story. The special effects are well done and the film has a very professional look to it. Writer/director Mark Rosman was careful to keep his material within the safe family guidelines that parent advisory groups for family films like to see. It would be nice to see the characters break away from their typical stereotypes and do something unexpected with these great toys — something that might give this film more appeal to a wider audience. Instead the viewer will have to be content with the world being saved from a power-obsessed maniac, and another group of middle school kids discovering their mo jo. Matt and Wiz tumble to the floor. A pair of chucks next to the sneakers from the future. Griffin Cleveland in his role of Matt Bauer, the leader of the four middle school friends, wears black high top chucks throughout the film. Chucks are a very popular footwear choice for kids of that age group. There are not a lot of close ups in the film, but there is a good one toward the end of the film where we see Matt wearing his chucks next to Boomer wearing the specially made sneakers from the future. Another close up shows them just after Matt has jumped over a stream. There also is a single scene where Mackenzie Aladjem appears to be wearing black low tops. The camera focuses on Matt’s chucks after he jumps over a small stream. Dalton Cyr, who plays one of the alternate versions of Matt during the film, also wears chucks. You don’t see them in the film, but Dalton made a promotional music video for the film where you see him performing outdoors wearing his black high tops. You can access a review of the video from our Music Videos with Chucks page. 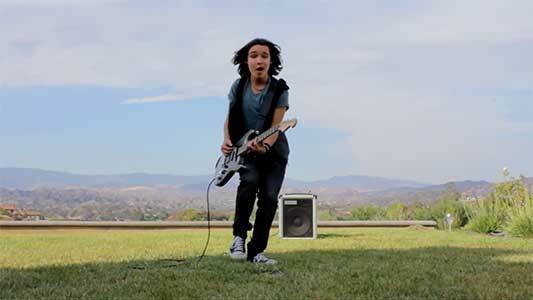 Dalton Cyr performing the Time Toys music video. Time Toys. (2015) Griffin Cleveland, Jaden Betts, J. J. Totah, Samuel Gilbert, Mackenzie Aladjem, Ed Begley Jr., Greg Germann, Parvesh Cheena, Rob Van Dam, Dalton Cyr, Evan Roe. Written and directed by Mark Rosman.